A personal injury trust is the only legitimate way to hold compensation and still receive state means tested benefits. A personal injury trust is an opportunity to use your compensation as intended and keep your benefits options open. A personal injury trust means your compensation will be ignored if you or others in your close family either claim, or need to claim, means tested benefits or require local authority care. I continue to be surprised by the advice given to people receiving accident compensation about personal injury trusts. The advice presents a personal injury trust as an optional extra. A personal injury trust is vital in many cases and advisable in others. You will usually receive compensation in a lump sum, and if that lump sum is not ring fenced by a personal injury trust you may lose your entitlement to means tested benefits for many years to come. You can’t just blow the money and then claim benefits, as there are strict rules which apply to depletion of capital before you claim means tested benefits. This applies even if the compensation is spent within the first 52 weeks after receipt. One often ignored benefit of a personal injury trust is that it provides protection against the means test for services provided by local authorities. When a local authority assesses your need for care it must assess your financial situation. If you have tucked away your compensation money for a rainy day, that money may mean you have to pay for your own care. Worse still there are rules about depleting capital which mean you cannot just blow the money and then claim financial help. Placing the compensation in trust is the answer. With all this in mind you should see a personal injury trust as a helpful necessity rather than an optional extra. The law allows you to hold and use your compensation in a trust, so why not take advantage. The advice from your personal injury solicitor is weak. The advice comes late in the case. It sounds complicated and expensive. Fear you will lose control of the money to trustees. The compensation will not be noticed by benefit agencies – please note all compensation is notified to the Department for Work and Pensions and all bank accounts opened are notified to HMRC. The reasons for needing a personal injury trust are very clear. Do not just look at your personal circumstances today, think ahead. Feel free to telephone for a chat without obligation on 0330 223 1708 or see how I work and the cost. Ideally you should create a personal injury trust ready to receive the compensation, or within one year of receipt of the first payment of compensation. You can set up a trust later, but do get advice quickly, as the sooner the better. A trust is created by a deed, a legal document, which identifies the compensation paid, the reason for compensation, it appoints at least two trustees (and you can usually be a trustee) and sets out how the money is to be managed. Your trustees must set up a separate bank or building society account for the trust fund. This means there is no question what money falls outside the means testing process. You can continue to have some control of the compensation, as the usual method is to create a bare trust. You will be able to bring the trust to an end and add and replace trustees. The money in a bare trust is treated as yours for tax purposes, so the interest on investments is included in your tax return. This makes management of the trust easy and avoids ongoing expense. There are occasions when a more complicated type of trust is necessary, but usually the bare trust route is the right way forward. If you have been advised that a personal injury trust may be a good idea and you want to set up a trust the cost should not put you off. I currently work on a fixed fee of £480, which includes VAT, with no ongoing cost and only limited administration for the trustees. The cost of not setting up a personal injury trust will be the loss of means tested benefits and local authority financial support for care for a long time to come. You can find questions and answers by clicking here and do feel free to telephone for a chat without obligation on 0330 223 1708. This entry was posted in Personal injury trust and tagged compensation protection trust, personal injury trust. Bookmark the permalink. I note that a PI Trust fund must only be funded by personal injury payouts and that you cannot top it up as you wish (perhaps for the purpose of ‘Hiding’ said funds) but in an earlier post you said that rent from a property purchase, made using that trust fund, can be paid in? A trust for personal injury compensation can receive the fruits of its investments. Rent received on a property purchased by the trust can be received by the trust, as can interest on a savings account. A trust for personal injury compensation cannot receive funds which do not have their root in the compensation. If I already have a compensation trust fund of which most is gone, can I put some money back into this to protect it as long as it doesn’t exceed the original amount of compensation? A benefit agency is entitled to ask for proof the money in the trust was paid for such an injury and, if the answer is no, reject the trust and take any trust fund into account when assessing your benefits. That means the answer to your question is no, you cannot top up a trust for personal injury compensation with other funds. Hi Mark. I am about to receive a Medical Negligence settlement. The firm of Solicitors who have dealt with my case are Quoting £1,000 plus VAT, to set up a Personal Injury Trust, I was wondering if this is a reasonable amount as I don’t have a clue. I also wondered if I can be a trustee, without it affecting my benefits? I am wary of my money being withdrawn without my signature. I have few people in my life who I can truly trust, so would ideally want two signatories in addition to myself. The people I have in mind, to be Trustees, live 150 miles away, would that be a problem when setting up an account for the Trust? I have only been notified today of my settlement so I’m full of questions, but the above 3 are my main concerns. At the moment I charge £400 plus VAT, so £480 in all, as a fixed fee. I will prepare the trust document, coach you through the signature process and contact benefit agencies on your behalf. You can be a trustee, but you should have at least two others acting with you. You could then set up the bank account on the basis of your signature plus one of the other trustees. It is usual for banks to want to see everyone at the first appointment to set up the account. Banks will sometimes agree to people attending different branches, but I cannot say this is always possible. You could open the account at a branch close to your trustees to save them having to travel. There is little need to attend the bank branch once the account is set up, so this approach should not create a problem. It is a good question, thank you. The trust assets are disregarded, or ignored, by benefit agencies, or by a local authority if you require care. Your duty is to give full disclosure of all capital and income. I always advise the trust should be made known to benefit agencies. Once informed of the trust, the agency must then ignore its assets. The trust does not make the money invisible, it just means the trust assets should be ignored. Due to RTA a few years back I set up a personal injury trust in which I paid in my compensation from the accident. I used some of the money to putchase a buy to let property, however things have changed and I now need to move into a bigger house with my girlfriend and children. However I need to take advantage of the the governor help to but equity scheme in order to afford the larger house. However I am being told that due to me haven’t a financial link to the buy to let property via my personal Injury Trust I am not allowed the help to buy equity loan. Do you know a anyway around this please? As I do not wish to sale the buy to let as this is insurance for my future taking into consideration my disabilities etc. A trust for personal injury compensation protects means-tested benefits and the provision of care by a local authority. It does not make the trust fund “invisible” for other purposes I am afraid. Sorry to take you through such a sad event. The compensation paid is to my mother but the injuries were sustained by my father who unfortunately died in hospital as a result. So the medical negligence caused the death of your father. Was any of the compensation paid for injury to your mother, such as the psychological or psychiatric effects on your mother? My mother had a clinical negligence case settled at £25,000. The money is with the solicitors. This case was settled upon my fathers death and my mother initiated the case settled out of court now. She is on pension credit and receives housing benefit. The solicitor is now telling is she cannot have more than £10,000 as it will affect her benefits. Also he is now saying we cannot set up a trust as the money has to paid to her though myself and my brother are happy to be trustees with her consent. We are at a bit of a loss and would appreciate a second opinion. You need to tell me more. Was the compensation paid for an injury to your mother or your father? Recently I had an road traffic accident and was compensated for £2900, my solicitor have send the PIT detail but did not explained in detail, therefore I am on state benefit which we receive child and working tax credit/child benefit, please advice me shall I open PIT account or not cause I am worried about the benefit circumstance will change or stop and I shall be facing alots problem in the future. If you only receive Child Benefit and Child Tax Credits, you do not need a trust. Child Benefit is payable provided household income is below £50,000. Child Tax Credit is based on income, not capital. So if the income you might gain on the compensation is minimal, you do not need a trust. If you receive any other benefits, such as Housing Benefit or Council Tax Reduction, you only need a trust if the compensation takes your funds, together with those who claim with you, over £6,000. Also could I keep 6000 or so in my bank account and put the rest into a trust ? The investment powers of the trust depend on how the trust is written. If I write the trust, the trustees can hold any investment or asset you could hold yourself, so the range is wide. In theory, you could put £6,000 into your personal account, but you could only do it once. It is highly likely the expenditure you make from that amount would not be reasonable in the eyes of benefit agencies. The amount would be treated as notional capital, so when your benefit entitlement is assessed, you will always be treated as having £6,000. Much better to think ahead and identify what you can pay direct from the trust, which avoids this problem. One thing, although I have a bank account I do not have a very good credit history, would this cause me problems opening a trust ? A poor credit history does not stop you making a trust, but if you are to be a trustee, it may mean a bank will not include you in an account opened for the trust. Someone with a poor credit history can open a basic bank account (no overdraft facility) and that is exactly the account which would be opened by trustees, so to my mind, unless your credit record is awful, it should be possible to open an account as one of the trustees. I am waiting on a cheque for £15.200 for a medical negligence claim . I am on means tested benefits . Laywer told me it would cost more to run a trust than i am getting so this has confused me. Went to local advice centre who have said personal injury payments do not come into it when in benefits. I know this is wrong and just dont know the best way forward with this money . Any advice would be greatly appreciated. There is some nonsense out there. To set up a trust, the only expense is for preparing the trust deed and the the advice you need to run the trust. I charge a fixed fee of £480 which includes VAT. That is it, with no ongoing charge. If you appointed a professional trustee that would absorb the trust fund, but having the trust prepared and then running it with friends and family as trustees, the cost is relatively low. Thank you very much for your advice its very much appreciated. If property is purchased through a personal injury Trust does this still give the beneficiary full entitlement to housing benefits if living elsewhere and if that property is let out as an Investment, would the income remain ring fenced and can it be paid into the trust account? If a property is purchased by the trust, it must be held by the trustees. If that is the case the property is ignored for benefit purposes. If the property is rented and the rent paid to the trust, that rent will be ignored. The beneficiary of the trust will remain entitled to claim means-tested benefits, housing benefit and council tax reduction being two of the means-tested benefits which spring to mind. Hi Mark Thankyou for your help more questions worried about. 1 Could you buy a home and then put some to trust after buying and keep your benefits. you any way around this. The trust can only hold personal injury compensation, or assets and investments purchased with personal injury compensation. You cannot add money and assets to a personal injury trust if the money or asset has not come from personal injury compensation. The compensated person can be a trustee along with one other person. This is not wise, but it might be a short term solution until someone else can be added. The trust can be used for the wider benefit of the compensated person. A gift to a child can be made. I recieved some compensation money and wish to place it in a PIT, I am stumped for trustee’s can my partner be a valid trustee, do both trustee’s need to be present when making the account or have the same bank to ease identification. Could one trustee be in another part of the country and go to a local branch to do ID and counter sign? My solicitor has said they can act as a trustee, but have not explained what and how they will charge, finding someone you know, who can act asa trustee and has no money problems is harder than I thought. One point if I have no control over the account, how do you close the trust down? will it need further trips to expensive solicitors to wind the trust up. Banks will usually agree to trustees attending different branches. It will cause delay, so much better to go to the same bank appointment. Ending a trust depends on the terms of the trust. Usually it requires another deed, but in reality the trustees could simply transfer the funds to you and leave the trust in place. Always work with your trustees, as the trust bank account and investments depend on the arrangement between those holding the account and the bank or financial institution. The bank will not be bound by a deed, as they are bound by the arrangement with their customer, the trustees. I would like to buy a house with my husband using part of my trust fund and the money from his house sale so we own 50% each. If he can not sell his house in time for completion on the new one is it possible for me to buy it in full with the trust fund and him put his money back into the trust as soon as his house sells? Provided the trust gives trustees the power to make a loan, the trust could loan half of the purchase cost to your husband and be repaid when his property is sold. Make sure the loan agreement between your trustees and husband is in writing so, if ever asked, the compensation has an audit trail. Hello, I have received a large injury pay out but prior to this I got myself in a lot of debt basically trying to live. My question is and, I do hold a trust account, can my debtors make me pay them back out of my trust fund. I think they my ex-landlord who is chasing me for money; knows that this account exist (well knows I have had a large payout) and I’ll soon be going to court under ex140, so do I have to say that this trust exists ? Also do these trust accounts show up on my or my trustees credit file? You say you hold a trust account. I guess that means a trust has been created by a trust deed and the trustees have then opened a bank account. Simply opening a bank account does not create a trust. Not all trusts are the same. If you have handed over the compensation to trustees and you no longer have any control of the funds, then the trust fund cannot be reached by creditors. On the other hand, if you do retain control, for instance the trust is revocable, then the trust money remains under your control and can be reached by creditors. A revocable trust can be brought to an end, usually by the person who set up the trust in the first place. Most trusts set up for personal injury compensation are bare or simple trusts, which are revocable. I own a property via a personal injury trust I set up, can I claim housing/council tax benefits with the trust as the landlord? Subject to the trustee powers, a trust for compensation can hold a property and rent it out, but you cannot be the tenant and claim housing benefit. The golden rule is to buy direct from the trust. That means using a cheque, as at least two trustees must sign a cheque. You could arrange a bank draft, which is as good as cash. As a last resort, the trustees could withdraw cash and hand it to the seller on your behalf. The transaction should be documented and a receipt obtained. The cash should NOT be handed to you, as it is then yours for benefit entitlement purposes. Any personal purchase you make personally is subject to the deprivation of capital rules, so if the car purchase is not considered reasonable you will be treated as still having the money spent. Finding your information really useful and will be calling you for advice. I’ve found that my claim will likely be over 10,000 and I receive social care help. I need to set up a trust – should this be done be before payment is made? And if so is there time between agreeing / court settlement and actually receipt of cheque? Also I wish to be a named trustee, if I name my partner as other trustee and we split up in the future – does he have access and or claim to my trust funds or purchases such as property? It is best if compensation is paid direct into a bank account set up by the trustees of your trust. The major delaying factor is opening a bank account which is taking about three weeks at the moment. The trust is designed to protect your entitlement to claim benefits. A trust bank account should require at least two signatures from trustees for a financial transaction. I am not a lawyer who deals in divorce and separation, but I think the fact the money is held in a trust will help to identify its purpose, but not necessarily protect it. We have received a payment following a negligence claim. The amount is over £16,000. We have lost our Housing benefit and Community charge benefit. Our solicitor never mentioned opening a Personal Injury Trust. The question is, Is the solicitor incumbent on telling us about The Trust and possible benefits. If he didn’t, Does that constitute Negligence? It is not too late to set up a trust now. There is no time limit within which a trust must be set up. I find most solicitors dealing with personal injury compensation include a paragraph or two about trusts when finalising cases. i would say it is the norm to give that advice to all clients and not just those already claiming benefits. So yes, a negligence action is possible, but first consider if you can achieve the same result by setting up a trust now and relying on the 52-week disregard to cover the period from first receipt of compensation. The 52-week disregard is a period when personal injury compensation is ignored, but anything you spend will not be ignored. The period is intended to allow time to set up a trust. Any expenditure in the 52-week period will be assessed by benefit agencies as to its reasonableness for someone living at benefit level. The 52-week period was designed to be helpful, but it has created a trap into which your partner has fallen. Any expenditure not accepted as reasonable will be treated as still in your partner’s possession and benefit entitlement will be recalculated. Although a trust does not operate retrospectively, it is likely benefit agencies will look more kindly on the situation if a trust is set up within 52 weeks of first receipt of compensation. Personal injury compensation held in a trust is ignored by the benefit agencies when they assess your finances. 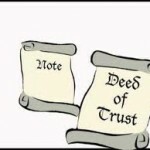 To create a trust you need a trust document, properly called a trust deed. Once the trust deed is complete the trustees then visit a bank or building society to open a joint current account. It is best to ignore the names banks and building societies give to their accounts, you simply require a joint account for the trustees which operates on the basis of teh trustees’ joint signatures. You are thinking how to reduce the compensation so it does not reduce your benefits. A benefit agency will not accept repayment of loans to family and friends, as this could be a way of asking others to hold money for you. The only safe way to make the repayment is to set up a trust, pay the compensation into a trust bank account and then make the repayment from that account. The type of trust usually set up for compensation is a bare trust. The advantages for a compensated person are they can use there personal tax allowance against any trust income, they can be a trustee, but even if not a trustee the compensated person can control who are the trustees and end the trust when they like. You tell me you have an IVA. I assume this is an arrangement set up for you by an insolvency practitioner and not just a deal you have reached with your creditors. The first thing to do is check the terms of the IVA. I cannot imagine you will be able to pay money owed to family and friends in priority to your creditors. Forgetting the trust for a moment, if you receive personal injury compensation you should declare it to the insolvency practitioner. That part of the compensation which is paid for the injury can be retained by you, but the part which relates to financial losses will be available to pay your creditors. Setting up a bare trust now will not protect the personal injury compensation from your creditors. You would be the Settlor of the trust paying your money into the trust. I do not think the law will protect your ability to avoid your creditors. The proper way to approach this is to talk with the insolvency practitioner who set up the IVA. You will find you are allowed to keep part of your compensation and if the amount you eventually receive leaves your funds below £6,000, you will not need a trust for your personal injury compensation. If the funds remaining are above that £6,000 line then a trust will be necessary. Thank God i found your blog amazing! You say you have received a payment from what seems to be an income protection insurance or more likely a permanent health insurance policy. Such insurance payments can be held in a personal injury trust if the reason for the payment is personal injury. If you were simply unwell and did not suffer a personal injury, an incident or a condition linked to your work or an incident, the payment cannot be held in a personal injury trust, as it is not a payment for personal injury. I think you are confusing payments made from a trust into personal bank accounts and payments made direct from a personal injury trust. If you transfer money from the trust to your personal account that money is no longer protected by the trust. If you then use personal funds to buy a car, the benefit agency may decide some or all of that payment is deprivation of capital. If you buy the car direct from the trust the benefit agency cannot criticise that expenditure. The best approach is to set up a trust, the trustees open a bank account and then pay all compensation into the trust account. It does not take long to prepare a trust and then open an account. You are looking at three or four weeks in all, the bank account taking the majority of the time. Your solicitor can pay some of the compensation direct to you, but take great care to calculate how much money you and those you claim with hold. If you do not need £6,000 quickly, I suggest a smaller sum be transferred and preferably, you pay all compensation into the trust. The major problem created by paying compensation into a personal account is that it becomes your personal money. Your personal expenditure can be analysed as to its reasonableness. If a benefit agency does not accept the expenditure is reasonable for someone in receipt of benefits you will be treated as still holding that money, even though it is spent. Such a decision might push your personal funds above the sum allowed and that may stop or reduce your benefits. In contrast, how you spend compensation money direct from the trust fund is not a matter a benefit agency can challenge. Set up the trust and pay all compensation into the trust. Doing it properly will avoid problems in the future. You must also check if you have received an interim payment. Hi Mark, the very scenario and implications you describe in not setting up a personal injury trust is exactly what my sister and I have been through and continue to be. We received substantial sums of compensation for childhood abuse 14 years ago and our solicitor failed to advise us or at least make us aware of a PIT. Instead she handed over the cheques and told us to speak to a financial advisor at the bank we already used who subsequently only advised us on investments. She also told us to go to the local social security office and declare non entitlement to benefits. She was aware that we were in receipt of means tested benefits and it seems now that she wasn’t even aware of PITs herself! . Regardless of that she might as well have given the government back the money we were awarded as we were left to live off it wholly including even daily essentials. We both bought our homes and I’ve only recently became aware of PITs and the implications on future care should we need it ( we both have chronic mental health issues). I also panicked several years ago as I was sick off watching my compensation drain away on essential living and decided to buy my mums house which she lives in and is in her name . This is a double blow as should she require long term care in the future this will be taken from me too. I’m in an unstable relationship and may soon find myself living off the remainder. We are looking into suing this solicitor for professional negligence as our lives had already been shattered by the childhood abuse ( by our ‘ father’) and now 14 years after receiving that compensation we discover that we should never have gone through this additional injury. We are devastated beyond belief as that compensation should have supported us, instead it caused further injury. We are also trying to have our claims reassessed as we now have mental health conditions undiagnosed back then but the compensation agency in Northern Ireland say it’s not possible??. Please can you help us Mark?, we’ve lost our health and our entitlement to everything we otherwise would have had including the safeguarding of compensation not to mention benefit entitlement. What can I do about my house and the house I bought my mum in her name?, what can my sister do about hers?. I feel like either giving it all over to the government now( as its such a burden) or ending it all, that’s how devastated I am. I have been asked this question before and have not yet had to bring an action against a solicitor for failure to advise a compensated person to set up a personal injury trust. The reason such an argument has been avoided is because a trust can be set up at any time and the position can often be recovered. I have also found benefit agencies to be generous in their approach and unwilling to take advantage of a mistake on the part of the compensated person. Hopefully you can sort this out. My sister has a trust which the money came from a road traffic accident. She has 2 trustees and herself the beneficiary. Recently we bought 2 houses for her under the trust name. If she was to do a will for her trust, what would be the correct procedure and complications on this? If she was to do any business under the trust name, what are the complications and obstacles? You will have to tell me if the trust is a “bare” trust or a “discretionary” trust. Most personal injury trusts are bare trusts, but it is important to check. A bare trust is tax neutral which means the trust assets and income are treated as belonging to the beneficiary for tax purposes. If a discretionary trust has been set up the trust exists in its own right for tax purposes. An answer to my question is necessary for tax purposes and also to allow me to answer your question about a will. Does the trust document contain a clause which says what should happen to the trust assets in the event of your sister’s death? You ask about the management and ownership of assets. The simple answer is the trust must own the assets not your sister or any other individual. It is a bare trust. Please would you advise what would be the best thing to do to keep all the assets belongs to the trust for her family in the event of her death which we do not wish for anyway? I mean to say that if she dies, how ca her family keep everything from her trust without losing anything and will it be done only by will? What this means is that on the death of your sister everything held in her trust will pass to her estate. Your sister’s estate will be dealt with under her will, or if no will has been made the rules of intestacy (rules which apply if someone dies without a will) will apply. A useful tool to help understand the intestacy rules is available here. She would like to put a will in place so that if anything happens to her, her family gets everything that belongs to her under that trust name. Do you do wills? If so, please let m know how to contact you. Finally, if she was to do a profitable business with the compensation money under that trust name, is there any obstacles or legal complications? I do not write wills but i do recommend a useful solicitor online will service. Depending on the powers given to the trustees the trust may be able to invest in a business, by owning shares for example, or lend money to the business. Just ensure any income or capital gain achieved is paid to the trust and that money will be protected by the trust. The important thing is that any investment made by the trust is owned by the trust. Once again, thanks for response. Good to know that she can invest the money for profit under the trust. Is there any legal or taxation complication on this? For example, if the trust opens a off licence and generates profits by this business, what complication may arise? In simple terms, if the trust fund generates income or capital gain those increases can be paid into the trust fund to increase the total sum held. If a bare trust has been used then the compensated person who set up the trust will be personally liable for any tax on the income or capital gains. A bare trust is “tax neutral” which means the money in the trust is treated as belonging to the person who set up the trust for tax purposes. I am not a business, tax or financial adviser. You will have to think about how the trust can be involved in a business, whether it does that by way of a loan or by owning shares in the business. I do not see any additional complication being created by a bare trust save that trustees tend to be very cautious in their approach to investment which may not tie in with launching a business. Please kindly send me the details for the will purpose for the trust. So that means, if she starts a business under the trust name and whatever profit the trust makes, the tax against that profit should be paid by her or the trust? If a trust is a bare trust any tax due is paid by the person for whose benefit the trust was established. So if you set up a bare trust the trust fund is treated as yours for tax purposes. Would it be ok to open a trust with HSBC considering the recent news about them moving their investments to China and redundancies? -give to friends or family? – pay off a loan? – pay off a credit card? – use to start a small business? I presume the trust is a bare trust written for the sole benefit of the person who received compensation. If the payments are payments the injured person wants paid then there should be no problem, but if there is a lack of mental capacity you need to ensure the trust deed gives you powers to make these payments. I already have a PIT but have been given 60 days to transfer this to another provider. Can I simply open a bank account, with the trustees as signatories and transfer the money, as I just have a trust deed somewhere from the opening of the original account. You are correct. The trust is created by the document, or deed, which you and the trustees signed at the outset. That document is the basis of the trust, not the bank account or investments in which the trust fund is held. All trustees should open the new account and it should operate by cheque book alone. Make sure the name of the account is the same as the name given to the trust. You can have more than one account and subject to the wording of the trust you should be able to hold a wide range of investments. The golden rule is to ensure the trust owns the investment rather than you personally. I am interested to know why some outfit is telling you to move your money elsewhere. I set up a Personal Injury Trust with metro bank of which I am be beneficiary. There are to other trustees. The account is labelled “Carl Williams – Personal Injury trust” and my settlement money has been paid into this account. I receive some income related state benefits. However I have just noticed that the Metro Bank trust account doesn’t pay any interest at all! If the trustees were to move the money into another interest paying account – perhaps even with anger bank – does that negate the protection of the trust? It at the trustees able to invest the money as they see fit? Does this other account need to also be a trust (which would be hard to findine that okays interest)??? You are not limited to one bank account and the trust can open other accounts or investments. Do follow the golden rule as the accounts and investments must be held by the trust and not by you personally. Thanks so much Mark! The problem, though, is that it is hard to open a TRUST bank account (ie one labelled “Personal Injury Trust”) which pays interest. So the question really is – can the trustees invest the money which they withdraw from the original Trust bank account, open another NORMAL (ie non trust) interest-paying bank account in their joint names and deposit the money in there? Sorry to be bothersome and for not being clear. The answer is the trust is not limited to one bank account or investment. If you need a deposit account try Skipton or Nationwide, but do try others. The account should have the same name a s the trust and be opened by the trustees as a joint account.You can also hold a wide range of investments , including property, but again the trust must hold the investment. the investments you can hold are subject to the terms of the trust and a modern trust should allow considerable freedom. You are not bound to use just one account for your trust. Most properly drafted trusts allow a wide range of investments to be made. At the very least you can open a savings account. Just open the account as trustees and give it the same name as the trust, just as you did with the original bank account. If the trust holds any other investments make sure they are owned by the trust rather than you personally. Let us know what you decide to do. Hi. Thanks for your speedy reply. I understand the tax implications. Capital gains only payable if I rent house out for 6 months then sell. Otherwise if a straight forward sell after renovation then it’s taxed at my tax rate. What I can’t find out is once a profit has been made and money back in trust and tax paid from the trust will the means tested benefits stop as money has been made. Or because it’s a trust do the dhss need to be told. Regarding land registry can the house be owned in my name but solicitor puts it into trust. Land registry where a definitive no when probed regarding a trust being owner. If income or profit received on a trust asset remains in the trust it is protected from the means test for benefits entitlement. So buy and own the house from the trust and any sale proceeds should remain in the trust. A profit on the property will not create a problem as the money is derived from personal injury compensation. You only create a benefits entitlement issue when funds or assets are transferred out of the trust. I am not a property lawyer , but I am confident a trust can own a property. If a trust cannot be registered as the owner the trustees can. Check the point with the solicitor you instruct to deal with the purchase and you will not find the point is a problem. I have a personal injury trust set up. I received 175k off which I paid off debts leaving me with 150k. Can I buy a house, renovate it and then sell on at a profit. For example buy at 120k. Renovate then sell with all legal and estate fees for around 25k then sell for 175k. Therefore I make 30k. Could I then put 175k back into my trust. Can I keep doing this raising the cash in my trust each time I sell a house. Do I have to buy through my trust or draw money out from it to another bank account. I’ve spoken to the land registry and they say they wouldn’t register house in trusts name. Only mine or joint names . The property and investments a trust can hold depends on the wording of the trust. I am guessing you have a bare trust and if it is recently drafted the trust should be allowed to own property. The trust can hold money derived from personal injury compensation, so yes, if a trust investment increases in value and is then sold the sale price can be paid into the trust fund. When you think about it what you are planning is little different from a deposit account earning interest which is paid into the trust bank account. Do not be put off by the Land Registry as I have not known problems with trusts owning properties. One thought is tax. If you have a bare trust the trust fund is treated as yours for tax purposes. On the sale of a property you may be liable to pay capital gains tax, so do discuss this with the solicitor who deals with the purchase and sale. One other point is the need to borrow money. It is not my field but from what I pick up mortgage lenders seem nervous about lending where a trust is the purchaser of a property. All I suggest is that if money is to be loaned with the property as security you should enquire at an early stage about ownership by a trust. I will be interested to know how you get on. I am considering making a claim for compensation for injury sustained in a fall whilst in a public place. I am already in receipt of certain benefits including ESA and Disability Living Allowance which I have been in receipt of for over 10 years and this benefit has nothing to do with the recent injuries I have sustained. ( these further injuries have been sustained whilst already disabled). The prospective compensation claim would only be for pain and suffering and not for loss of mobility or any other losses such as loss of earnings as I was already disabled that has been the case for the last 10 years. Would a claim for compensation for injuries received recently, and if compensation is paid, affect my pre-existing benefit payments that have nothing to do with the current prospective claim? Provided the compensation is protected by a trust the receipt of compensation will have no effect on your existing benefits. I am about to receive my compensation order to the sum of just over forty thousand. No one informed me about p I trust until I asked about what would happen to my benefits. I am not getting a p I trust set up but finding it difficult for any bank to understand what a p I trust is. After reading through this is have a clearer understanding is think. I have a appointment with my local branch this week to discuss it but still waiting on my trust deed and the third party to release the funds. My concern at this time is that the funds are going to be available before the trust is set up and I would rather have it in my hands than in my lawyers. What do I do? You are thinking along the right lines. It is best for compensation to go straight into the bank account set up for the trust. You could ask your solicitors to hold the money until you have a trust and a bank account for the trust set up. Alternatively you may receive a cheque so you could hang onto it until the trust and bank account are complete. Have you already received an interim payment? If so the trust should be set up within 52 weeks of receipt of the first interim payment. It is not necessarily the end of the world and you can find more detail here. What is the minimum amount of compensation, you recommend before setting up a personal injury trust? For most benefits you can hold £6,000. There is then a sliding scale up to £16,000 which reduces your benefits down to nil. When calculating how much money you have you must include the money held in the family unit which is claiming benefits. If that unit holds £5,000 and you have £5,000 in compensation your benefits will be reduced. The same thing would happen at the upper end of the scale. I can see situations where a trust for a sum below £5,000 would be worthwhile. The other side of the coin is that personal injury compensation must be ignored for a period of 52 weeks. Note this period runs from the first receipt of compensation and you only have one 52 week period, so a small interim payment may cause you a problem. People seem to think that if they spend the compensation in this 52 week period their benefits position will not be affected. Sorry to disappoint, as the benefit agencies are entitled to examine how you spent the money and may say you dissipated your assets (you blew the money) so you would be entitled to benefits. In that situation you receive no benefits and you have already spent the compensation. If we tried to create a rule of thumb it might go like this. If you are going to hold the money for a period of a year or more a trust will always make sense should you need to claim means-tested benefits. If the amount is small, and you have reasonable expenditure to make, like paying off debts, then a trust is unlikely to be of value. The trouble with rules of thumb is they do not work for every situation, so you can always telephone without obligation to see what will work for you. My daughter received compensation for Medical Negligence in 2 parts. She purchased a property with the first portion but not in the name of the trust fund we set up. Can this still be changed? Also can she buy an investment property with the remainder fund to keep it in line with inflation as it is sitting in a bank account that offers no interest. Any advice would be much appreciated as I could find no solicitors in our town that specialised in this field and I am also fearful about the trust set up. I will first explain why you might want to hold a property in a personal injury trust. Your home will be ignored in all benefits financial assessments with the exception of care provided by a local authority. So owning your own home through a trust makes sense should care ever prove necessary. A second reason is that if a property owned by a trust is sold the money received can go back into the trust. Very useful as we all anticipate the value of property will rise. Thirdly if a property owned by a trust is rented out the rent can be received by the trust. 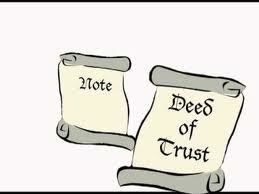 What the trustees can do depends on the powers granted to them by the trust deed. If the trust was written to take account of the full amount of the compensation, by which I mean the amount includes the purchase price paid for the house, it would be possible to transfer the house to the trust. As to the trust fund currently sitting in the bank that sum could be used to purchase a buy-to-let property. The rent could be received by the trust as could the sale proceeds if the house were ever sold. The answers lie in the trust deed itself, but most trusts do include the power to buy, maintain and insure properties. My bank say they can’t add the words “Personal Injury Trust” after my name to the title of a bank account I have opened with them , for the sole purpose of depositing my damages money under a personal injury trust deed which I would like to get drafted. I presently receive means-tested benefits. I suspect the bank think you are doing things the wrong way round. If you have not yet set up a trust it would be odd to include the name of a trust in the account name. I always advise that a trust document is completed before the bank account is opened. A copy of the trust can then be provided to the bank and I have not known an instance where the bank or building society has refused to name the account to accord with the trust. I prefer the bank account to have the name of the trust because it makes life simpler. A benefits agency can ask to see a bank statement and if its name coincides with the trust it is much more likely to be accepted. You could have an account without the name of the trust, but you may be asked to prove it only contains compensation or income earned on that compensation. So you can get away with an account without the correct title, but why put yourself to the trouble. If the account was opened by you alone you are just asking for trouble as the account should be a joint account for the trustees. Set up a trust immediately and then ensure the trustees are parties to the joint account and have the account renamed. I had only recently purchased my home when I received personal injury compensation. I got my solicitors to pay off that mortgage on my behalf as soon as they received the compensation money, which was a bit more than the actual purchase price. I paid them to do this. They had then set up a personal injury trust fund with the remainder of the compensation. I have now found out that my home will be taken into account for means testing for local authority care, despite the whole purchase money for it coming from personal injury money. My former solicitors are telling me that it was not possible at the time I received the compensation money to have paid off the mortgage with the Trust fund, and that if I wanted a home that was exempt from means testing the only way to have done this at the time would have been for to have purchased a different property to move into (I would have had to sell or rent my former home to pay off that mortgage). Are they correct in what they are telling me? If they are, should they have advised me of this at the time, so I could have made the correct decision? Can anything be done retrospectively to put me in the position I should have been in the first place? Property can be held by a trust, and that includes a personal injury trust. The benefit of holding property within a trust is that any income or gain on the property can be held in the trust. You also keep the property outside the financial assessment undertaken by local authorities in respect of funded care. If you received enough compensation to pay your mortgage, a trust should have been set up and the compensation paid to the trust bank account. The trust should then have purchased the property from you, allowing you to discharge your mortgage and protect the house from financial assessment if care ever became necessary. If I understand your question you already have a discretionary trust and you want to add that trust fund to compensation. If the discretionary trust fund is not from compensation you must keep the two funds apart. Compensation managed in a trust is protected from the means testing made for claims for State benefits and local authority care. When I prepare a trust for compensation I draft it so that other personal injury compensation can be paid into the same fund, but I do not know if that is what you intend. So let me know why the discretionary trust was set up and I can then give you a clearer answer. At present disability living allowance is not a means-tested benefit, so if that is the only benefit you can receive then receipt of compensation will not affect payment of that benefit. What you must think about is the future. You have not told me how much compensation you are to receive, nor the circumstances of others living with you. If you are to receive a considerable amount of money, and you intend to hold it for the future, then that money may prevent you and those living with you from claiming means-tested benefits in the future. Also if you need care from your local authority in the future the compensation you have saved will be included in the means test undertaken. So you will see compensation can prevent financial support in the future, and that is why I always advise that a personal injury trust be set up to hold the compensation and protect it from the means testing for these benefits. I think personal injury solicitors take a very simplistic view. If you are in receipt of means-tested benefits you will be advised a personal injury trust is a good idea, but if you are not currently receiving such benefits a personal injury trust may not even be mentioned. I think that approach is wrong, as a long term view must be taken. Thank you for completing the Personal Injury Trust Deed for me and for all of your help. You’ve made the whole process seem very easy and straightforward. “At the time the compensation was paid, all I was given was a small piece of paper by my solicitors who said read this and we’ll pass your details on to a company we use and it’ll cost over £800 to set up a Personal Injury Trust and the solicitors get a referral fee. The compensation would then have been paid direct to the company who set up the trusts and not to myself. My solicitors couldn’t answer any questions and upon my contacting the company who set up the trusts, they contradicted the majority of what was on their own leaflet. C) All benefits are means tested.